"One Friday night a few winters ago I went to watch a game of rugby in Northampton under a blanket of frozen fog more impenetrable than I could ever recall seeing in my hometown. The mist swamped the pitch, rendering the game entirely unwatchable; quite why it ever went ahead is beyond me. The players, unsighted too, communicated solely by voice and eschewed any passing lest the ball sail wildly toward a fortunately-placed opponent, instead choosing to pick the ball up and run forward into a meaty form (the defensive strategy was apparently 'hit what’s in front of you'). At one point someone scored but it wasn’t given because the referee couldn’t see it happen. Sitting in the cold, extremities numb, hip flask at home and balls presumably now frozen to a plastic seat with not enough legroom and straining to catch a glimpse of two uninspiring sides slug it out in the gloom was up there with the most unpleasant Friday nights I’ve had in Northampton (which is going some). It is however the one I recall most vividly when listening to the self-titled début album from Anthroprophh, aka The Heads’ guitarist Paul Allen. The album is coming from a good place at least. The Heads are an acclaimed underground rock group, who, in the Nineties, offered a tonic for grunge and Britpop, gaining great acclaim for their psychedelic sound blended with Krautrock influences, heavily concentrated here. The problem is that whilst all of the Krautrock staples are there – Motorik beats, clanging industrialised guitars, heavy drones – they are never used to amount to anything, instead just thrown together with seemingly little care or apparent intent to make a song out of them: if Family Guy ever did a joke about Krautrock, this is how it would sound. ‘Ende’ is the most obvious example of what’s wrong with Anthroprophh (apart from my clumsy attempts at typing it, ho ho ho), a quiet fuzzy kind of drone that last for six minutes, complemented by... oh wait, nothing. ‘Ende’ is six minutes of a cold and hostile fog lifting temporarily to allow the audience a view of what lies beneath: pure and relentless inertia. Elsewhere the guitars drone slowly and listlessly, clouds of noise that thud slowly into one another. The drums crash and break to create a violence that’s unpleasant and distancing rather than threatening and visceral. Tracks such as ‘Hermit’ and 16-miute dirge ‘Entropy’ embody this perfectly; their sound is a grey verging on black that obfuscates whatever intent toward creating something that Allen may have had. Rather than intrigue though, the murkiness leaves the listener bored at best, and looking for a way out at its nadir. 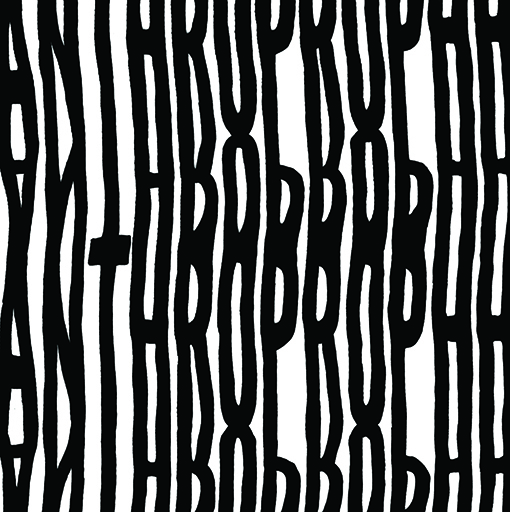 A press release rarely captures the true spirit of an album, but Anthroprophh’s inadvertently does so. 'Heavy on the the planetary rhythms, laced percussive half man, half machine grooves... the oscillating neuronal discharges of instruments induce the long distance pattern of synchronization, corresponding to the moment of perception itself' it, ahem, explains. It’s the musical equivalent of corporate management speak, impenetrable nonsense that on this occasion embodies the heavy metal nothingness hissing through the speakers, the dismaying sensation of watching Prometheus on an aeroplane TV with 3-D glasses on. We have bolded out the last part as even though it is obvious this sort of music isn't Dan Lucas's cup of tea, we feel that he sums up the sentiment of the album really well with that last sentence! !